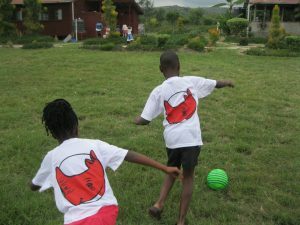 Thank you for your interest in the Red Rhino Orphanage Project. Whether you have a general question about the progress of the children, our facility, or want to inquire about ways to support the children of the Red Rhino Orphanage Project, we would love to hear from you. All smiles made possible because of your support. Be a part of the Red Rhino story. Our mission is to empower some of the poorest and most disadvantaged children in Kenya, primarily through education, to become contributing members of society and leaders of the next generation. © 2016 Red Rhino Orphanage Project. All rights reserved.